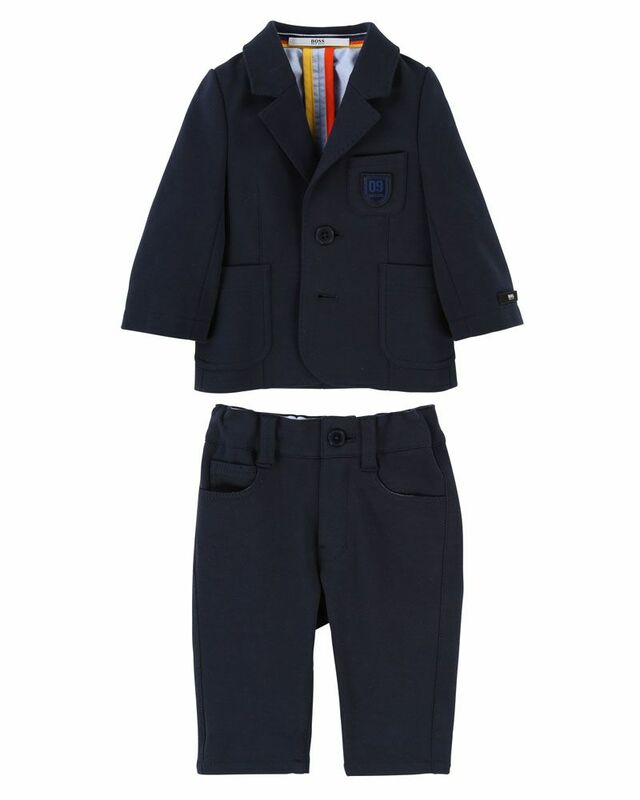 BOSS soft cotton navy milano suit with lined cotton blazer & trousers. 76% Cotton, 21% Polyamide, 3% Elastan. Imported.